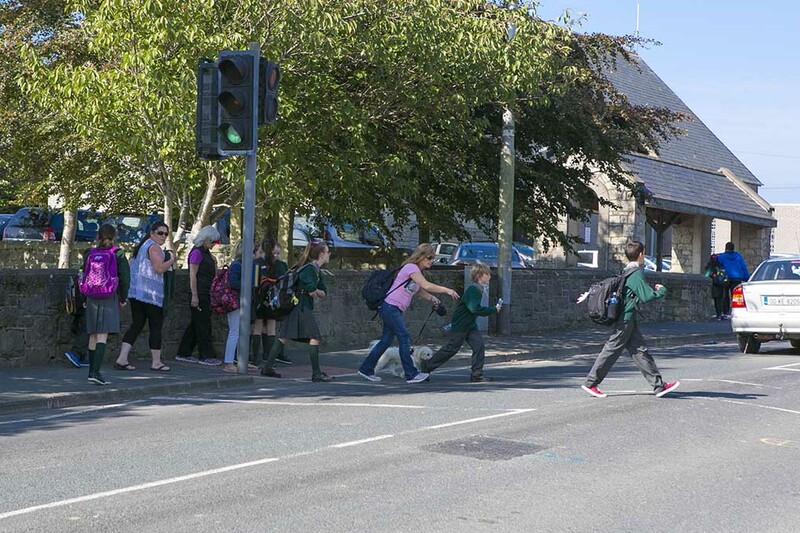 Parents and pupils at St.Joseph’s national school, Templerainey in Arklow are calling on the Municipal council to get the pedestrian lights fixed outside the school. The road is the busiest road in the town taking all the traffic from the N11 and Avoca. The traffic light on the school side of the road has been stuck on green for some time and it was hoped it would be fixed before the children returned to school on September 1st. Parents told Wicklownews.net that Parents as well as the school had contacted the council but had got no reply, children are coming out of school and either having to wait until someone presses the button on the other side or wait until the traffic is clear. The school no longer have a lollipop lady, Councillor Pat Kennedy said he had only heard about the lights on Tuesday evening after a parent had contacted him and would be on the case straight away.